When food is plentiful, Humans can get the energy by burning the carbohydrates to glucose for energy. When food is in shortage, humans can burn the stored fats into ketones for energy. The problem arises when the fat is not used in the body, and it stagnates and accumulates leading to obesity. When we eat three regular meals a day with in-between snacks, the body perceives it as a perpetual summer, with the abundant food supply. Insulin, the hormone responsible for storing fat remains activated all the time. It collects all the extra sugar from the blood, and deposits to the liver, which converts them to fat to be stored for the future. Since we do not undergo food shortage in winter, this fat never gets burnt. Each year the fat accumulation continues leading to overweight and obesity. The way to reverse this trend is to create artificial periods of food shortage for the body mimicking the ancient periods of winter and famine. The practice of fasting has been recognized to have healing powers from ancient times. Science has recently unlocked many health benefits of fasting. Dr. Jason Fung is a world expert on the use of fasting to treat metabolic problems. Here are the health benefits of fasting based on his work. Weight Loss: Fasting remains the most effective way to lose weight. During fasting, the insulin levels remain low. The low insulin state allows the fat burning enzyme lipase to become activated. The first 2 days of fasting, the body used the stored glycogen reserves. Only form the third day, the body begins to burn fat and enters a period of ketosis. Thus longer fasts will lead to a quicker weight loss. Diabetes: When we eat carbohydrate or protein-rich food throughout the day, the insulin level remains high. This chronic hyperinsulinemia leads to insulin resistance, which finally leads to type 2 diabetes. Fasting can lower insulin levels and reverse many of the problems of diabetes. However, fasting can only help with diabetes type 2. Those with type 1 diabetes should not fast as they already have low insulin levels in their blood. Those who are diabetic, and taking medications, need to be careful while fasting. They need to monitor their blood glucose and blood pressure, and preferably fast under medical supervision. Cancer: The body is always attacked by free radicals, environmental toxins, and carcinogens from the food and environment. During the period of fasting, when there is a food shortage, the body has to choose- whether to feed the healthy cells or the damaged ones. Generally, the healthy cells survive, and the old, damaged, dysfunctional cells undergo apoptosis during fasting. Regular fasting is the best prevention strategy against cancer. Heart Disease: high cholesterol and high triglyceride levels in the blood is a significant risk factor for heart disease. The cholesterol-lowering medications come with their baggage as they increase the risk of Alzheimer’s and reduce the levels of fat-soluble vitamins like A, D, E and K. During fasting, the body uses the stored fat, and blood cholesterol levels become low. On top of that, the blood triglycerides which is even a higher risk for heart illness remains. Regular intermittent fasting is a great way to correct many metabolic problems related to heart diseases. Antiaging: Fasting and exercise slow aging from the inside. During fasting, the insulin levels remain low. The body uses this time to detoxify itself. During fasting, the growth hormone is released which can regenerate and rejuvenate tissues and organs. Also, there is a release of brain-derived neurotrophic factors (BDNF) which can form new nerve cells. Fasting can theoretically delay and partially reverse changes related to Alzheimer’s dementia, Parkinson’s, and other neurodegenerative conditions. Fasting is not easy to do. Never plan a fast around holidays, birthdays and other memorable moments. During these special occasions, it is not the food, but the social bonding, connections, and happiness that matters. Intermittent fasting is easier and commonly practiced on a daily basis by many successful people. You just miss the breakfast, no one notices. Schedule work during lunch, and as you remain distracted by work, you forget about the food. Then you go home and have one single big meal around 5-7 PM. This is intermittent fasting which I practice a few days a week. Then there are 24-hour fasts when you only take water. Quicker and better results happen with longer fasts lasting from a few days to weeks. Longer fasts are more comfortable and safer to do with soups, broths, tea, and fat. Avoid carbohydrates and proteins during fasts as these trigger the hormone insulin. Hunger comes in waves during fasting, be patient, and it will go away. You can take the natural five appetite suppressants- water, tea, coffee, chia, and cinnamon. Drink water regularly for hydration. Many times we mistake thirst for hunger. Drinking water or tea will quench the thirst as well as hunger. I prefer herbal and green tea. Many people add coconut oil, ghee, and butter to their tea or coffee during fasting to make it bulletproof as popularized by Dave Asprey. You can also add cinnamon powder, as cinnamon delays gastric emptying, lowers blood glucose, and also suppresses appetite. Chia seeds is also helpful during fasting. Bone broth is an excellent choice for both short and long fast as it will provide the essential electrolytes and salt. Fasting is not for everyone. Children, pregnant, and lactating women should never fast. Those with diabetes and those taking multiple medications should only fast with medical guidance. Do not fast when you are sick, cold, and stressed. Stop fasting if you feel dizzy, lightheaded, pain, and week. Always break your fast gently with some fruits and vegetables. Wait for an hour or two after that to have your big meal. Try to eat regularly, and avoid binging. Fasting during exercise has additional benefits as it forces your body to use fat for fuel and enhances all benefits of fasting. 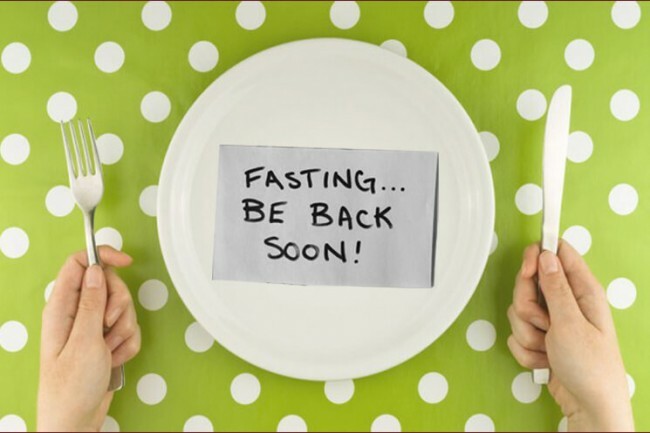 Make fasting a regular part of your healthy lifestyle with nutrition, exercise, and sleep. As you fast, be ready to enjoy a renewed appreciation of food and other finer things in life as you stay healthy and hungry for more. Dr. Panchajanya Paul, MD, ABIHM, ABPN, FAPA – is an American Board certified – Child, Adolescent, and Adult Psychiatrist. He is the author of 2 books- Stress Rescue & Sleep Coaching available at Amazon. 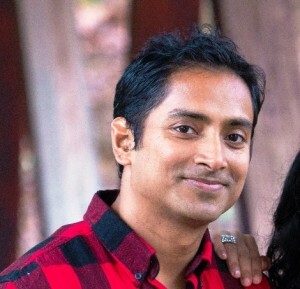 He practices Psychiatry in Atlanta, GA. For more articles and queries, follow him on Facebook @ Dr.Panchajanya Paul.